Security screens are probably the last thing on your mind on a cold winter’s day in Brisbane. However, you may be surprised to know that right now is the best time to be thinking about them. Summer is the busiest time for screen and shade installation; so if you want an easy installation, consider getting your security screens installed as soon as you can! We have a wide range of screens and shades to choose from, and they are beneficial at anytime of the year! Why is it that summer is such a busy time for screen installation? As every Brisbane resident knows, summer means heat, heat and more heat! If you’re stuck in a screenless or shadeless house during the summer, you’ll find yourself aching for the feel of a cool breeze. Thus, summer is usually when most people install security screens in Brisbane. As such, it is incredibly tricky to get a security screen installed during these busy summer months. So if you’re eager to have a nice cool house in summer, your best bet is to get your brand new security screens installed in winter. Despite being associated with a cool house, security doors and screens can actually be beneficial to your house during winter as well. As they tend to be made of protective materials, security doors and screens can actually help to insulate your living areas. So if you have the heater on, you’ll find that security screens and doors will actually help to keep the heat in. 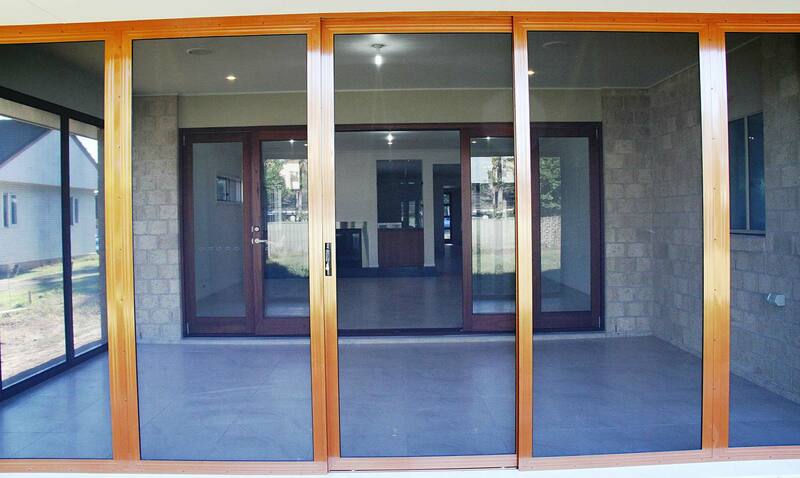 Security screens in Brisbane can even improve the energy rating of glass doors that let in all that summer sunlight. Glass doesn’t work very well as an insulator and can cost you dearly in the energy department. In great contrast to this, security screens insulate your home and trap the heat inside. So not only will you stay warm in winter, you can also expect to save a bit of money on your energy bill! Still concerned that it may be a bit too tricky to get your security screens installed during winter? You’ll be happy to know that with Vincent Security, security screen and shade installation has never been easier. First things first, we will give you free measure and quote so you don’t have to worry about all the measuring yourself. Once we have decided on a design that is right for you, we will look through our high-quality, self-manufactured stock to find your perfect security door or screen. We will then deliver and install your screen no matter where you live in Brisbane, it’s just that easy! All you have to decide is which of our amazing, very strong range you would like! At Vincent Security, every screen and door we stock has been specifically chosen to be part of our very strong range. When we say very strong, we mean very strong! Not only is strength an important part of our very strong range, we also consider look and value for money. So if you’re looking for a cheap but effective security door, look no further! Our diamond doors and screens are reinforced with specialised locking plates and include ultra-strength triple-lock systems. They provide great protection at around half the price of other more expensive models. Our aluminium security doors and screens provide peace of mind in a number of ways. Not only will they make you feel safer from home invaders, they could even save your life this winter! During the cold winter nights, you may find yourself turning on little heaters or electric blankets in order to keep warm. Unfortunately, heat and electricity in small spaces can sometimes lead to sparks, which can take only seconds to turn into a devastating house fire. Luckily, the VS 7 mm security screen comes with a unique Safe-S-Cape system, which allows you to exit the security door from the inside without the use of keys. This has been designed for easy escape during an emergency, such as a house fire. So with Vincent Security, you can be sure your safety is our priority! The pinnacle of our very strong range is our Crimsafe security doors and screens. Crimsafe has been specially designed to give you high-performance security along with a nice look and easy access to breeze. No matter what other security doors or screens you look at, Crimsafe is unlike anything else. Each screen has patented clamps, which means your screen is going nowhere fast. They also have specially made stainless steel mesh to protect you from the elements and from intruders. Like the aluminium security doors, Crimsafe also has a range of Safe-S-Cape options as well. Along with a hinged escape system, our Crimsafe range also includes an escape option for sliding doors. So if you find yourself in a situation where you need to escape fast, our high security doors will not compromise your safety. For a really warm experience this winter, consider getting Crimsafe patio enclosure screens. Not only will they protect you from biting insects, they can help contain the warmth of an outdoor heater. Your winters are a whole lot warmer with our fantastic security screens! The best part about our screens and doors is they aren’t just beneficial for homeowners. If you have a rental property or two, you should consider installing one of our many security screens and doors. Not only can you be sure to keep your rental property safe from intruders, it can give you peace of mind each time you rent it out. When it comes to keeping your home safe, comfortable and secure at any time of the year in Brisbane, you can’t go wrong with our range of security screens at Vincent Security. For more information or a free measure and quote this winter, please feel free to contact us.